The IEEE Global Engineering Education Conference (EDUCON) 2017 has been the eighth in a series of conferences that rotate among central locations in IEEE Region 8 (Europe, Middle East and North Africa). EDUCON is the flagship conference of the IEEE Education Society. This year’s EDUCON took place on April 25-28 in the city of Athens, Greece. 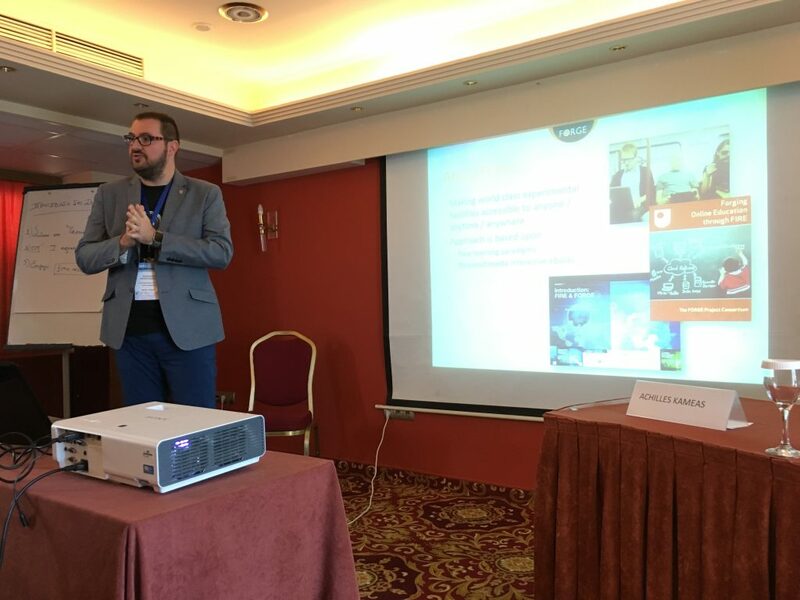 Alexander Mikroyannidis attended the conference and presented a paper on PT Anywhere. PT Anywhere offers a network simulation environment via a web interface that can be accessed from any web browser or as a widget inside an interactive eBook. PT Anywhere is based on the Packet Tracer network simulator for Windows and Linux developed by the Cisco Networking Academy. PT Anywhere has been jointly developed by the Open University and Cisco and has been funded by the FORGE project, as part of its initiative in driving and promoting the concept of experimentally driven research in education by using experiments as an interactive learning and training channel for both students and professionals. The FORGE project was completed in September 2016 and was rated “Excellent” by the European Commission. The Open University team continues to maintain PT Anywhere and is actively seeking new funding opportunities in order to further develop and improve PT Anywhere.